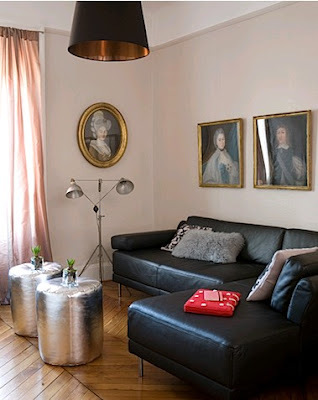 Glad to see that metallic Moroccan poufs (aka ottomans), cubes and sundry blobs are still rocking rooms across the blogosphere. Also nice is that there are some less expensive options available now. This one is Nate Berkus for HSN for $100. Here's faux leather for a mere $30 via eBay. Then there's always the DIY option for the price of a loud second-hand dress. Love the pouf in Amanda Nisbet's design... that is one of my favorite little girl's room. 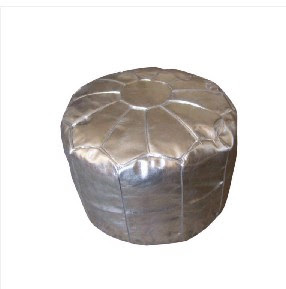 Nate is selling poufs! $100 is not bad either. 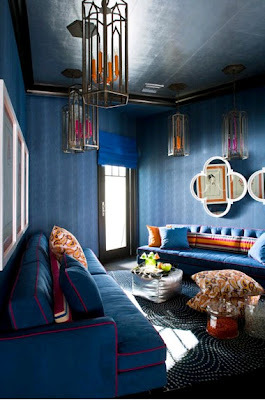 I'm LOVING the poufs. On their own I couldn't really get into them...but in these rooms they look fabulous! 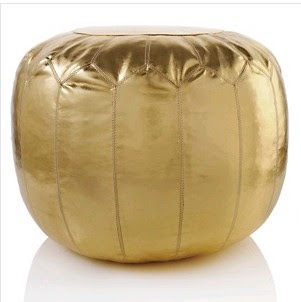 My heart just beat faster at the sight of the Nate Berkus ottoman! $100 never sounded cheaper. My grandmother always had a brown leather one in the living room.... I like the metallic! These are gorgeous. I need a pair badly. 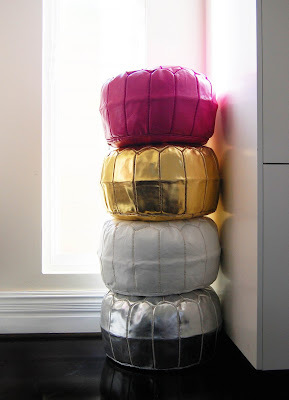 Years ago my mom brought me a pair of Moroccan poufs from one of her trips and in one of my moves, I donated them to Goodwill. Can you even believe it?! Someone scored big time. What was I thinking? So sad. Too bad Alexis didn't walk into that Goodwill. 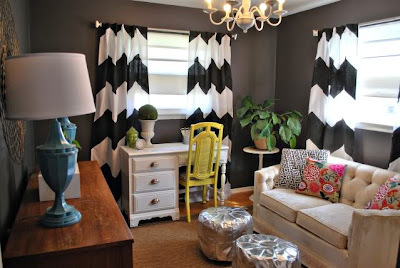 wow - that poodle room is insane! Here is a website where you can find over 30 Moroccan pouffes colors available.